Welcome to this HR blast. In this Blast, we look at a few of the staffing issues that frequently cause grief in the workplace. We look at how we might better use some of the HR artificial intelligence tools available in order to either reduce or avoid these issues that so often absorb time, energy and of course, money! Individuals who might struggle with remote working. And the tools that might help? We take a look at just four that Jaluch offers clients, but there are of course more on the market. It’s odd that many people choose to not use profiling or other assessments simply as a result of saying that they don’t like putting people in boxes, but those same people have no problem in accepting that artificial intelligence tools are used in every other aspect of their working lives. Algorithms run our lives from supermarket offers, to google searches, to insurance premiums. So why on earth the resistance in using them to support us when it comes to managing the hardest part of our jobs – the other people? There is nothing in the Managers’ or HR manual about how you handle staff who just can’t get past their resentments or grudges. But if you don’t acknowledge and deal with them, then they can cost you so much time and stress. Those who hold grudges are also the ones who do your organisation major damage after leaving you, often harbouring ill feeling for years, if not decades after moving on. DISC and colour profiling can give you an indication of who is more likely to hold a grudge. These same tools can give you the information you need to open up a discussion with your employee and talk about why they are feeling, acting or thinking as they are. Just knowing that a high S (Green) trait is to mask feelings and internalise emotions provides you, the manager, with the starting point for a discussion in a safe comfortable environment about what your employee is, in fact, thinking and feeling. A while ago when advising a client, we suggested that during their intended business transfer, they would find at least 1 in 10 of their directors would resist change at every turn and that this in turn could scupper the entire business transaction. Not surprisingly, a few months later we hear that there has in fact been one director who has worked against the process every step of the way and the huge cost and impact there has been on the business as a result. An intelligence assessment is one way to know who in your team might struggle with change. A low score across the board might suggest that whilst your employee could learn new skills and ways of operating, they might take a long time to learn those new skills. One consequence of that could be that they become difficult and obstructive in order to divert attention away from what they are in fact struggling with. Another reason why someone might struggle with change could be down to their Optimism score (as can be found using the EI profiling) if that is low, as this might result in them only seeing what might go wrong with the change you are trying to introduce. but if you know someone has a low Optimism score, that might guide you in how much time you put into team building, communicating and actively supporting those going through change. In this case, the knowledge you gain from the artificial intelligence tools will give you what you need to more successfully manage the challenging issues. Using the profiling tool, you would learn that whilst Red/High D profiles often dominate the upper ranks of organisations, when in a junior role these same people often struggle to ‘take orders’. They will need extra support and guidance in order to keep them in the organisation while they progress through the ranks. And if you have done an intelligence assessment that has identified they lack the potential to ever progress through the ranks, then they may need significant extra support and guidance as somehow you will need to find a way to make them comfortable in the environment they are in. Often more self-management and control over day to day tasks might achieve this. We have written before about some of the dangers of remote working. Whilst it appears to be utopia for some, it is anything but utopia for others, particularly after the initial honeymoon period. 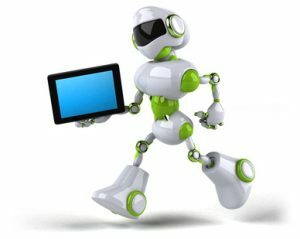 But rather than just look at each request for home working on an individual basis and job basis (who is asking and can they do their job from home)it is far better to use artificial intelligence tools such as EI or DISC to help us identify whether the person will struggle with home working and if so, why or how they might struggle. As you can see hugely different preferences in working environments for different people and understanding this before you agree to a request for a home working could save you considerable time and effort in managing the employee or resolving any grievances or low-performance issues should those arise. The £100+ cost of many of the tests is prohibitive. actually, the cost is negligible, absolutely minute, in comparison to the cost of sorting out legal or other issues. actually these tools, when used intelligently, simply allow you to support your staff as individuals and provide you with a huge amount of information and knowledge that otherwise would not be available to you. When we run a Colourwise course at Jaluch, it is so often the course that delegates say has inspired them as no course has ever done before. Good thinking! So start with one tool and see if in due course you want to add another one to your tool-kit. Only a psychologist should be able to assess individuals. These tools are too simplistic. These tools provide fantastic information at a very reasonable price. You wouldn’t question the algorithms in the Google search engine, so why on earth do you question whether similar technology can support decision making and knowledge in the HR industry? Using artificial intelligence tools is a huge topic, but we hope that what we have set out here has provided some food for thought. if you want more information about the different tools that Jaluch offers its clients then please email or call us on 01425 479888. On another topic, to support all our clients who are looking to move towards a workplace where all staff understand their role in selling and have developed the confidence to sell – from reception staff, to back office staff, and all customer-facing staff – Jaluch his now delighted to have for sale a new Bag of Learning: Sales skills for non-sales staff. This course is a must if you want to raise confidence and knowledge in order to remain competitive in your market. Extremely cost effective, practical, engaging training tools for you to deliver across your business. Call us now for details – 01425 479888.